• Digital display showing: imbalance, ovality, weight and pedal pressure. • Fused system • Pedestal or wall mounted. • Galvanised roller unit. •Gritted rollers. • Worm gear (makes it easier to leave rollers). • Prepared for printer. • Prepared for data transmission. Calculation of retardation (%), Axle weighing system, 4 Wheel drive operation. The INTERTECH 8752 MK2UKC is an ATL brake tester, MOT approved. The brake tester is PC based. The results are calculated and stored and the test procedure is in full compliance with the latest regulations. The brake force is measured with a strain gauge. 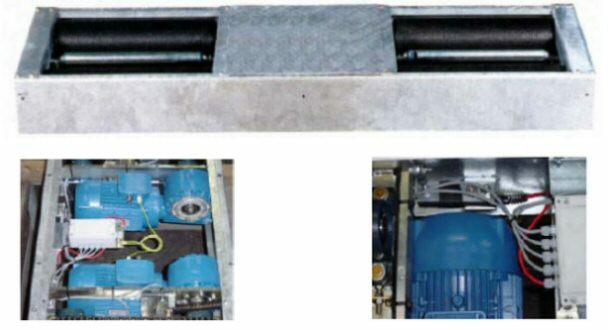 The roller unit is fitted with sensors detecting the presence of a wheel set on the rollers. This system ensures that the rollers do not start accidentally. A speed sensor measures the wheel speed. The point of wheel lock can be set at 4 different settings. 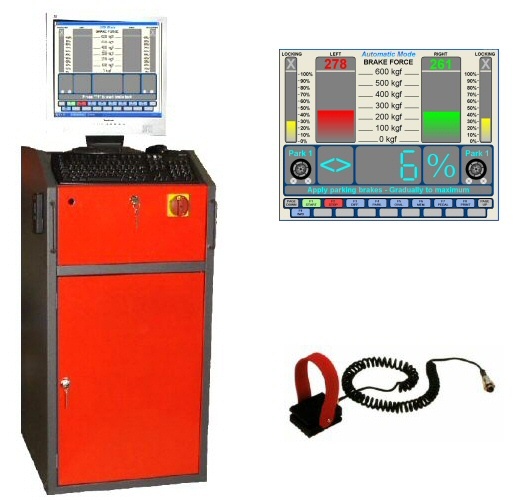 The Oliver 6500 Diesel Smoke Meter (and the mobile 6502 battery operated diesel smoke meter) is designed to measure Diesel Exhaust Smoke to the Latest Directives. The Oliver 6500/6502 has a simple to use handset enabling control by a "one man" operation. Easy to use prompts on the handset display guide the operator through the structured test procedure. The Free Acceleration test (FAS) readings are shown in "K" units of smoke and are displayed on the handset and also available for print out on the integral printer in the main system. The integral printer can be customised to incorporate your business / users name, address and other information as well as the results of the FAS test. The Oliver 6500 diesel smoke meter has a unique FAS trigger, no RPM measurement required and with it's "fast pass" software just one acceleration produces a pass for the majority of vehicles. The smoke valve gives freedom from zero errors and false readings plus the unit has automated calibration checks. The Oliver 6500 smoke tester has been successfully tested for compatibility with the MOT computerisation program. 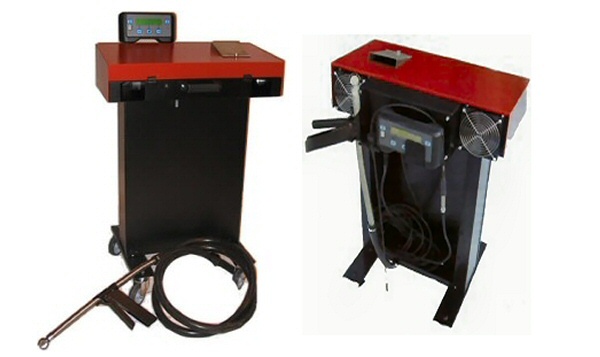 A range of accessories are available, including commercial vehicle probes. visit MOT Automated Test Lanes now approved by Mot Vosa. Phone John to discuss this cost effective option.